After volunteering at the Christmas In July 5k Run, the Green Girl went for a run. 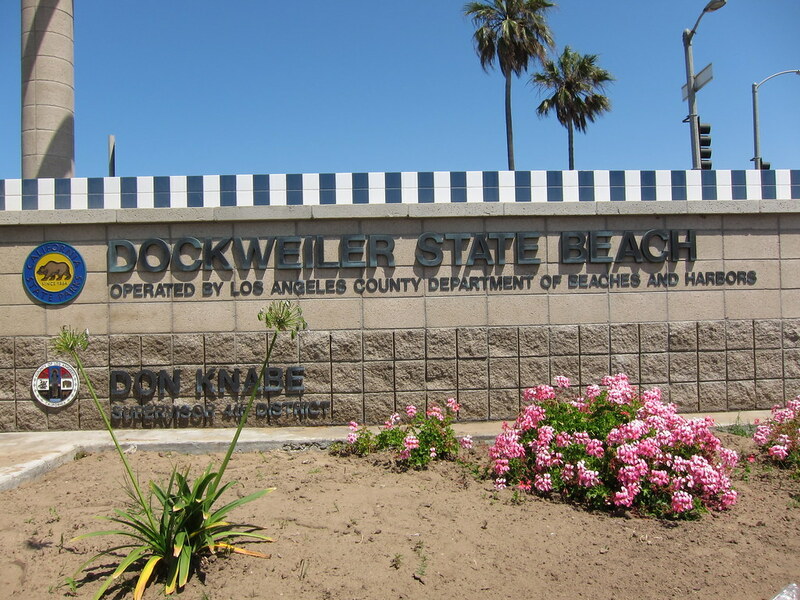 I started at Dockweiler State Beach and headed north on The Strand. 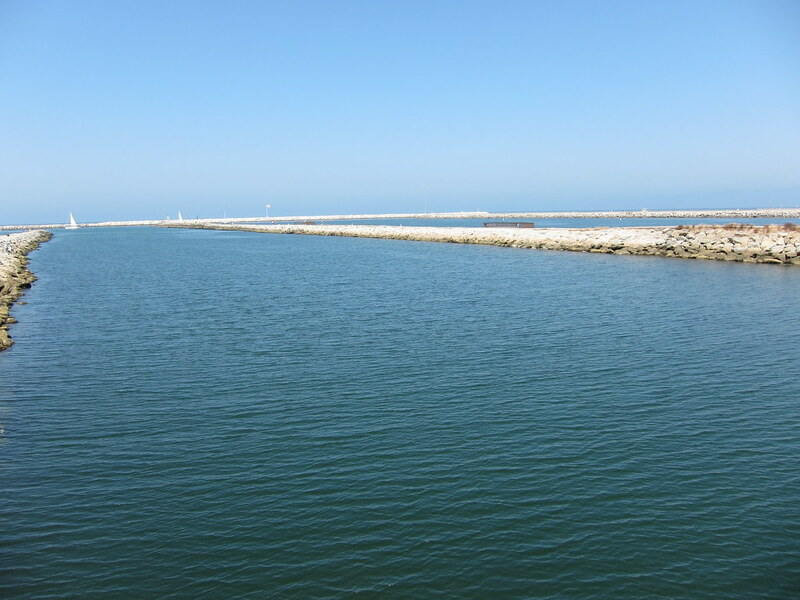 The Strand is a 22 mile paved bicycle path that runs along the coast from Pacific Palisades to Redondo Beach. Despite the warmer temperature, I felt strong today. I felt quick on my toes and I was able to maintain a good pace without pushing myself. When I hit Ballona Creek, I crossed over the bridge to the Ballona Creek Bike Path but instead of following the path east, I headed west towards the narrow peninsula. At the entrance of the headland, there was a gate that was fashioned to prevent bicycle traffic from entering. I zigzagged my way through and continued down the path. This section consisted of a paved bi-directional path bordered by rocks. Fishing lines were propped along the sides. A considerate seagull moved to the side when he saw me heading in his direction. 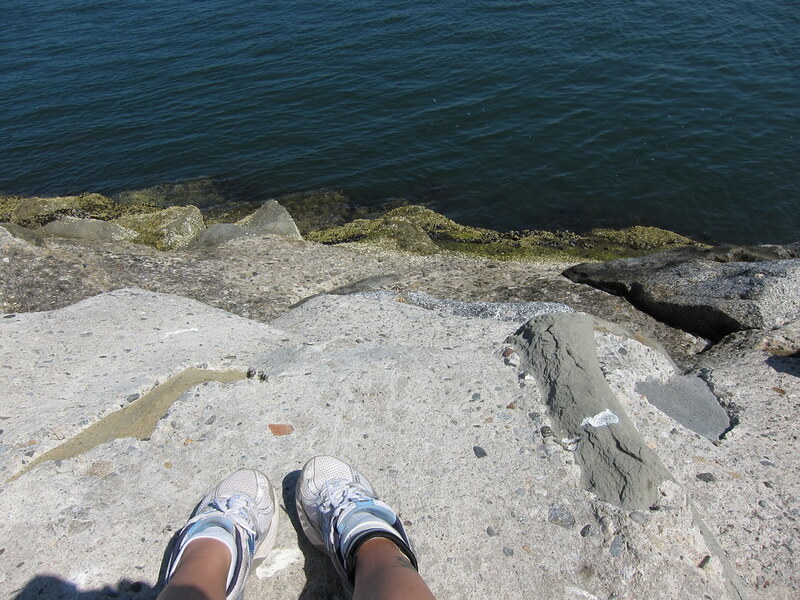 I luxuriated in the beauty of being surrounded by a body of water on both sides. 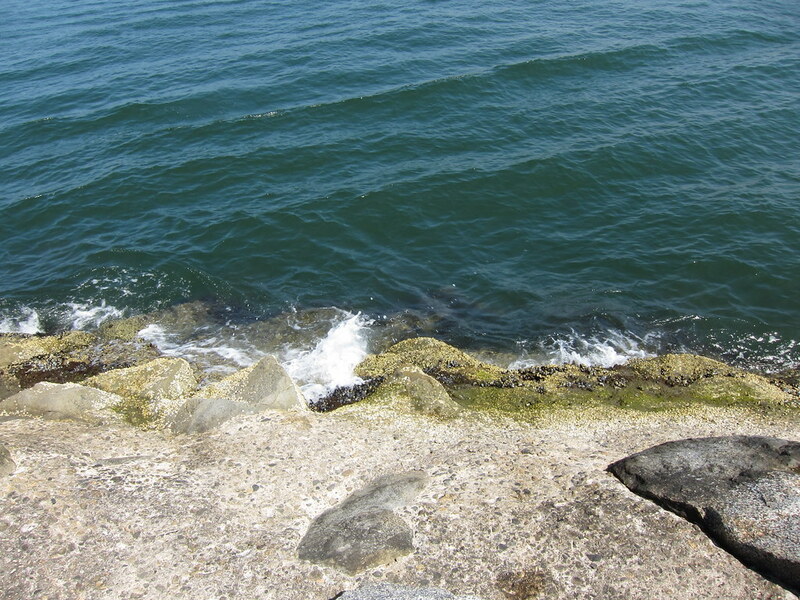 The gentle sound of waves crashing against the rocks soothed my soul as I reveled in the sensation of the cool ocean breeze. I ran the length but instead of turning around right away, I stopped to sit and just enjoy the scenery. On my way back, I realized I had rediscovered a certain joy that's been absent from my runs for awhile now. I felt liberated. Thank you, Leah B. and Tricia! Gorgeous scenery. I am soooo going to fit in a run at the coast next weekend! sounds like a really awesome run! WOW! Awesome run - gorgeous scenery! I love the shot with your shoes in it. Way to get your running joy back - I just got mine back a little while ago, and it is as you say, liberating. Now that is one SUCCESSFUL run! :) Personal P.R. for the Sole! Thank you, Heather, Dragonfly, Caratunk Girl, Glenn, and Rad Runner Girl. Caratunk Girl, I'm glad you were able to get yours back as well. I don't think I'd realized I'd lost it until I rediscovered it this weekend.